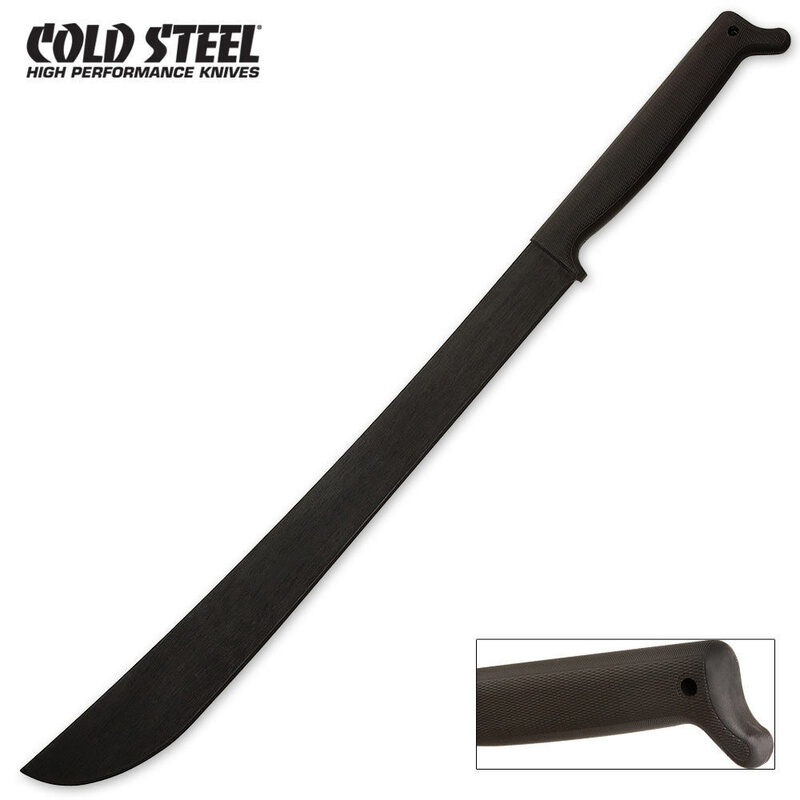 Upgrade your Latin Machete with this extra long handle edition. This model can easily be used one handed (it's tremendously well balanced) but will comfortably accommodate two hands as well. It is unsurpassed for sheer versatility in the field, on the farm or in a forest. The 21 inch Latin styled blade has the potential to make delicate, precision cuts in tight quarters or deliver brutal limb loppers in an instant. If you like the look and feel of traditional Latin machetes, we're sure you're going to love the extra horsepower available in this two handed model. Handle: 9 in. Long Polypropylene.